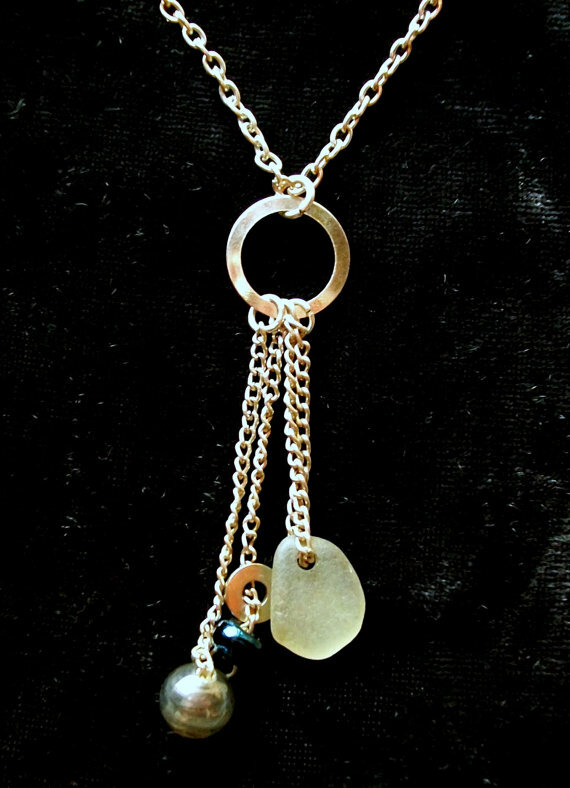 I just absolutely adore this necklace made with a piece of sea glass Tarren found on the Northern California coastline, on Moonstone Beach, UPcycled chains, and beads. This necklace is very free and fun, understated and goes with just about everything. The necklace is 20.5" long. I am a 25 year old self taught artist from far Northern California. I work with all types of media and love doing custom commissioned pieces. My favorite materials and subjects are feathers, unicorns, sea glass and moonstone. I love life.